You'll need a good reason not to consider the diesel models. The 2.0-litre TDI engines, with between 118bhp and 168bhp, are the best option - not only for availability, but for running costs and residual values, too. 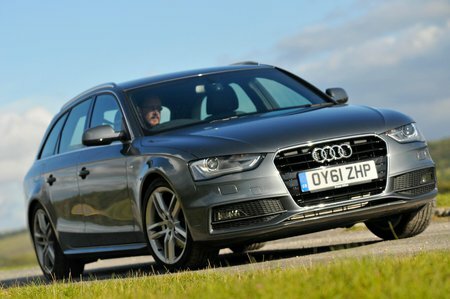 There's also a 2.7-litre, with 187bhp and a CVT auto gearbox, plus a quattro four-wheel-drive 237bhp 3.0-litre. There is no automatic 'box option on the 2.0-litre, but the 3.0 litre is also available with an S-tronic semi-auto gearbox. The petrol versions start with the punchy and refined 1.8-litre TFSI, with between 118bhp and 158bhp, and a 2.0-litre version with 208bhp. Both are available with a CVT auto gearbox. The four-wheel-drive 261bhp 3.2-litre is more of a car for keen drivers, but rare on the used market. Entry-level specification is good with stability control, electric windows all round, climate control and remote central locking, while SE adds alloy wheels, parking sensors, and upgraded stereo and cabin trim, and multi-zone climate control. The S-Line version sits on lowered sports suspension with larger alloys, plus sporty cabin trim and a body styling kit.